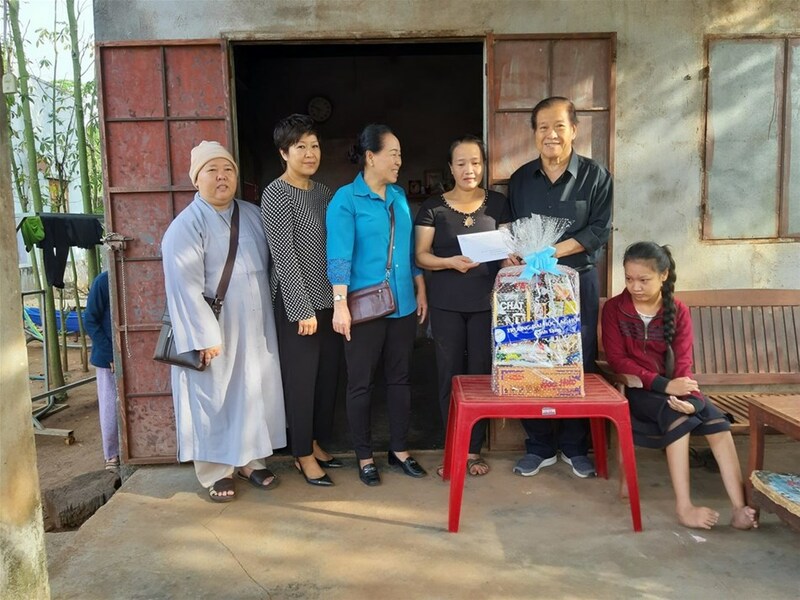 LHU in association with Dong Nai AO/dioxin Victims’ Association on January 23 visited and presented gifts to 20 AO/dioxin victims (fourth quarter of 2018, first quarter of 2019 and Tet gifts) in Cam My and Dinh Quan districts, Dong Nai province. The total value of gifts was worth VND 60 million. Earlier, representing LHU, Youth Union – Student Association handed over each gift worth VND 1,200,000 to these AO/ dioxin victims. LHU Rector Do Huu Tai and Lac Hong Bilingual School Principal Do Thi Lan Dai visited and presented gifts to 20 AO/dioxin-affected families. LHU quarterly subsidizes for 20 AO/dioxin victims in Cam My and Dinh Quan districts. This aims to encourage and help families who suffered severe consequences of war, also to educate LHU students' morality and lifestyle. 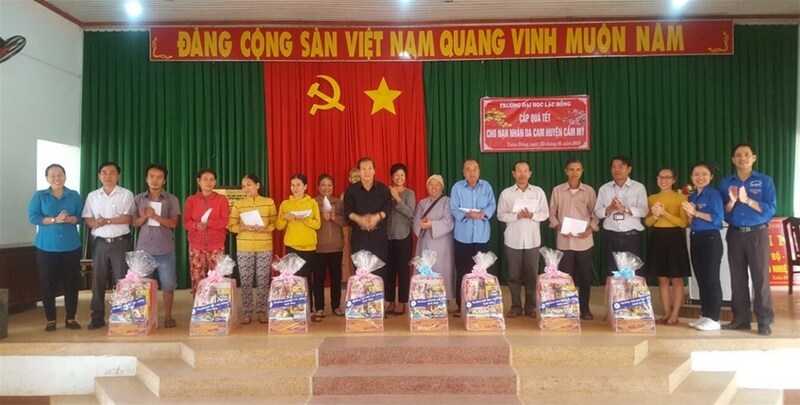 On behalf of LHU, Secretary of Youth Union Le Son Quang presented gifts to AO/dioxin-affected families in Dinh Quan district. 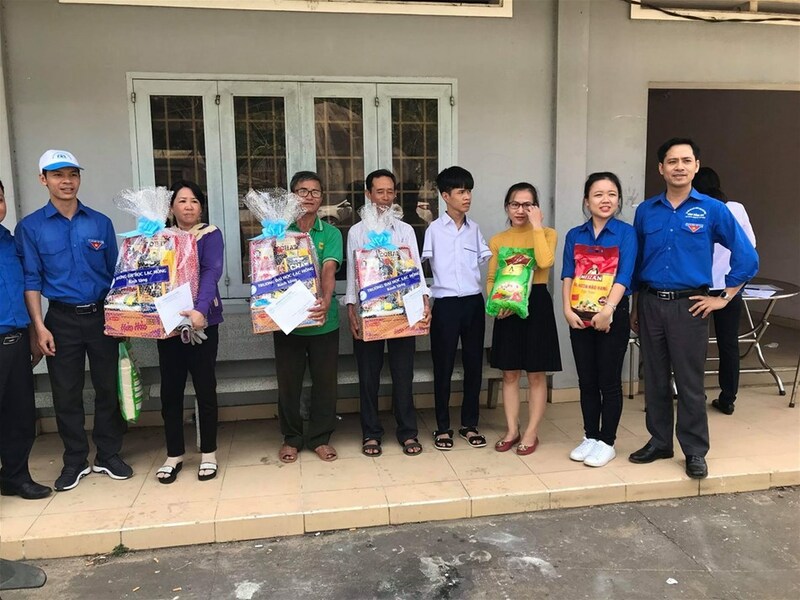 This occasion, in addition to quarterly gifts, the Rector and the University presented Tet gifts to help families of AO/dioxin victims to enjoy Tet holidays. Each family of AO/dioxin victims received VND 4,000,000 in cash and Tet gift worth VND 600,000.